This feature is available immediately to Wirify Pro customers with active Wirify credits. To view headings select “Show headings” in the Wirify Pro menu, and then select “Hide headings” to revert back to the default block view. Whilst displaying headings may sound trivial this is conceptually the biggest change to Wirify since the original launch in December. The philosophy behind Wirify has always been ‘no text and no images’ as inspired by Web.Without.Words and we believe the low fidelity and high level of abstraction are keys to Wirify’s continued success. Having said this, Wirify Pro is specifically focused on redesign projects, where we think headings can provide excellent touch points and ‘anchors’ for different parts of the page. In a sense this is where utility trumps ‘conceptual purity’. 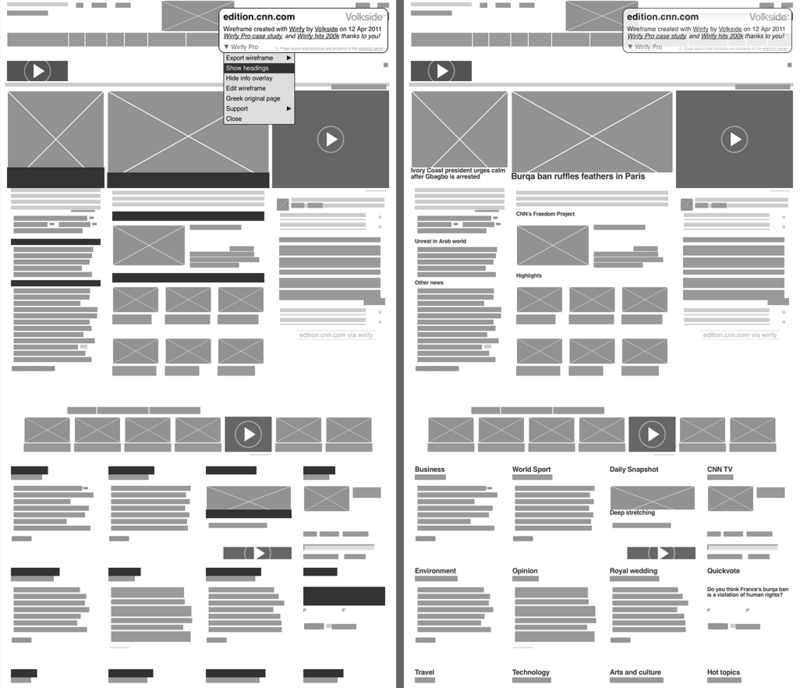 We have no plans of adding other detailed page elements to Wirify wireframes though, and the highly abstracted block view with no text or images remains the default view in both Wirify and Wirify Pro. Thanks to the EMPAC web team for the brilliant idea! As always, please keep us posted with your feedback. Posted on 12/04/2011 in Announcement, Product update Both comments and pings are currently closed.